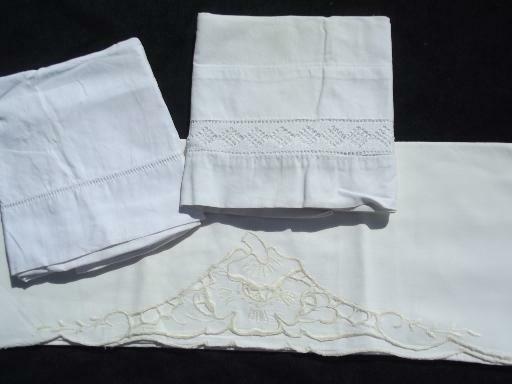 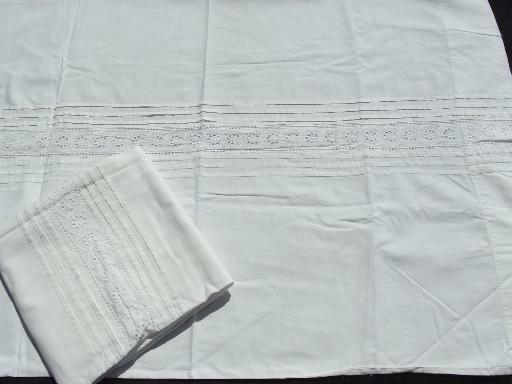 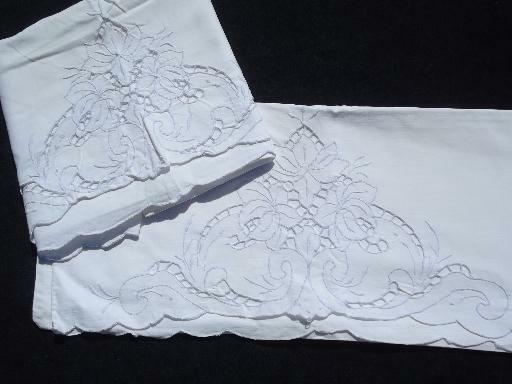 Beautiful lot of assorted old whitw work pillow cases, most 100% cotton, a few 100% linen. 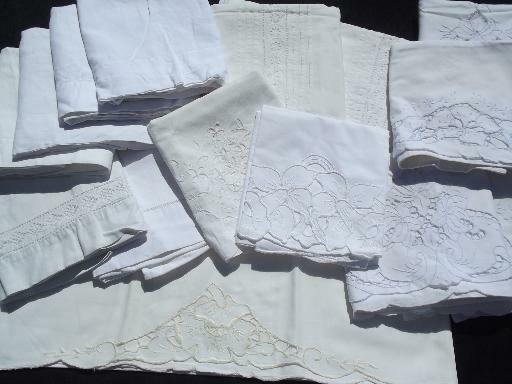 There are ten singles and two pairs in this lot, with lots of lovely handmade crocheted lace and fancywork embroidery. 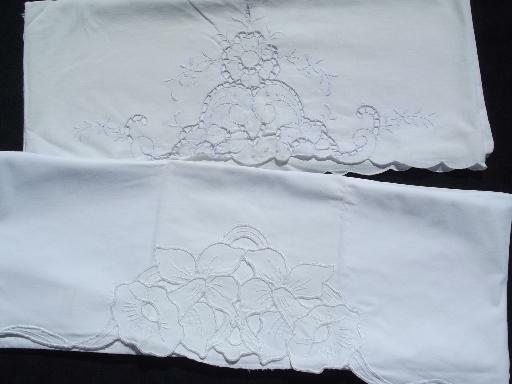 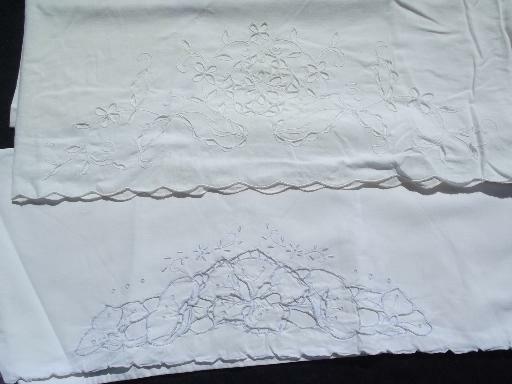 These are are all in good condition, the cotton fabric is strong and supple, and all the lace looks nice. 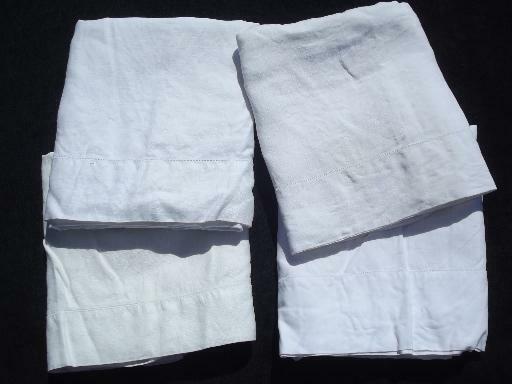 The fabric does have yellowing spots from use and/or storage, which will probably clean up to much nicer than their current state... we haven't washed or soaked these at all.